On the third floor of the Center for Teen Empowerment in Roxbury, more than a dozen people, including youth, local police officers and moms who’ve lost their children to gun violence, gather in a too warm room. In the bright, cobalt blue and brick-walled space, they embrace, devour pizza and chat easily before the official agenda. Once it begins, smaller groups form to recite poems, monologues and stories around grief, forgiveness and motivation. 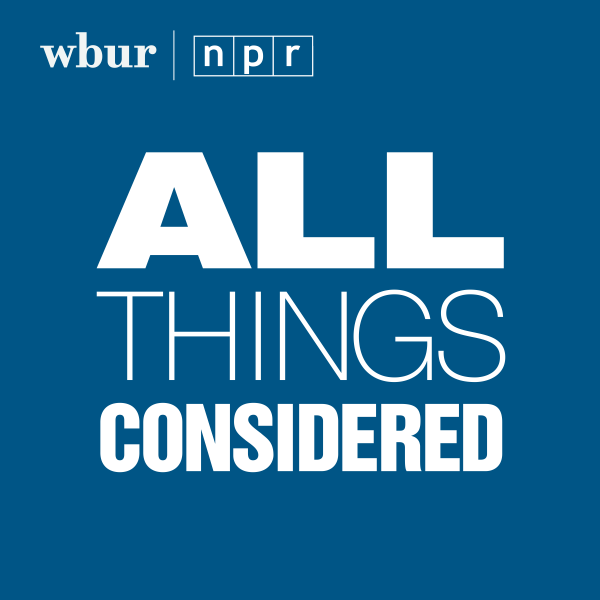 "I became a police officer so there’d be one less of those [kinds of cops] on the street," says Jeremiah Benton, as he recalls getting harassed by police as a teenager in Dorchester. Benton, a member of the force for nearly 30 years, and the others have been working together — with classical violinist and composer, Shaw Pong Liu — to find common ground through the "Code Listen" project. 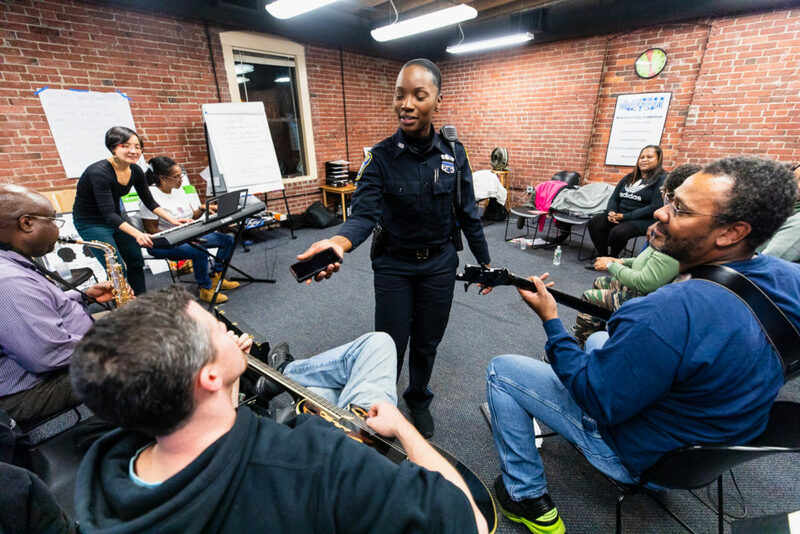 Liu's civic arts initiative leverages the transformative power of music, storytelling and performance to support healing and spark dialogue around gun violence, race and law enforcement practices in Boston. At the rehearsal in preparation for “Code Listen 3.0” on Saturday, Dec. 8, Zyariah Sheffield, 14, reads an uplifting poem she penned about her brother, Burrell Ramsey-White, killed by police in 2012 and a trio of moms, Kilra Hylton, Ramona Jones and Mahogony Payne, take turns offering narratives inspired by restorative justice work at Norfolk State Prison. Benton, who trains detectives in the academy and plays bass, shares in detail why he chose the uniform. One day, when Benton and his friends were playing basketball, some officers in the area stopped to yell at the teens and began slamming them into the car. The police grabbed and cuffed a younger, smaller boy, who Benton believes was 10- or 11-years-old at the time. The more the teens protested the child’s treatment, the more aggressive the officers became. Ultimately, they threw the crying child into the backseat of the car and drove off. “Kids need people to look up to, [and] not be looked down on. They don’t need that,” he explains at the end of his tale. 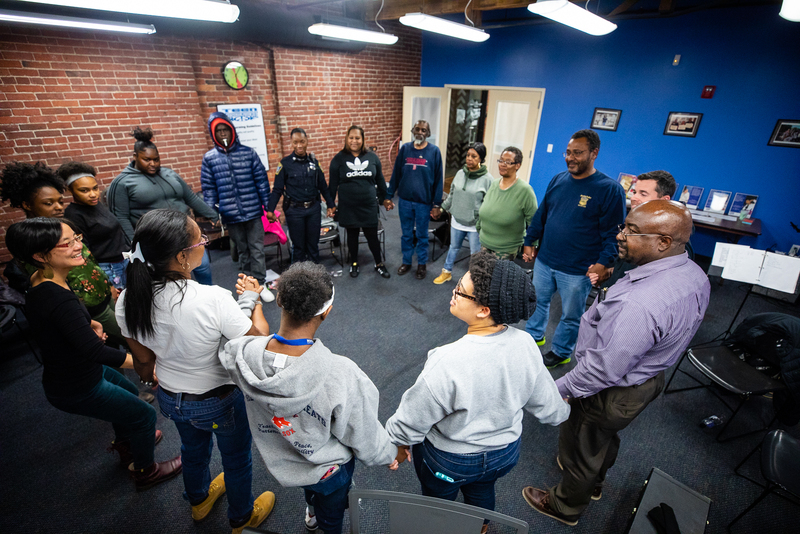 "Code Listen" was developed in 2016, when Liu was an artist-in-residence for the city, in collaboration with the Boston Police Department, and community organizations including the Louis D. Brown Peace Institute, Teen Empowerment and the Mattapan Teen Center. Over time, the ensemble has developed through a series of workshops from a citywide police band in 2016 to a mix of police, teens and homicide survivors in 2017. Sheffield says after meeting Benton and officers Steve Collette and Kerline Desir, her bias has “evened out.” At some point, according to Liu, some of the officers went up to Carla Sheffield, Burrell and Zyariah’s mom, to say how sorry they were for her son being killed. 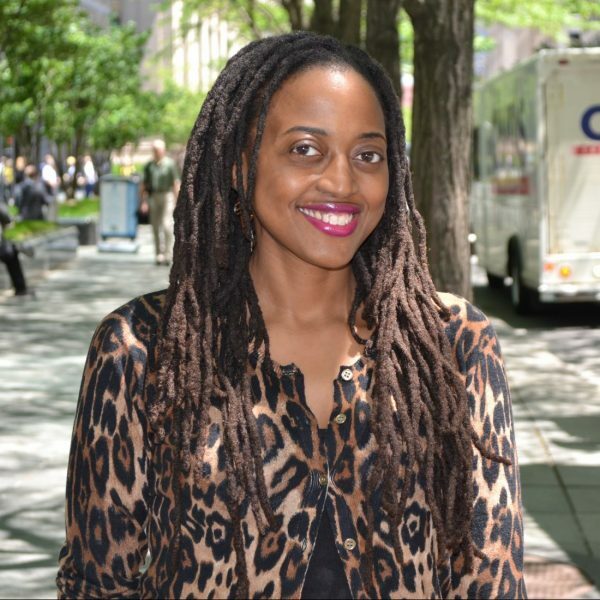 Amid trauma, “we lose our voice,” Clarissa Turner, founder of Legacy Lives On, which supports families who’ve lost loved ones to homicide, tells me. “When you bury your loved one, you bury yourself.” But Liu’s willingness to help by asking “What can she do?” is how "Code Listen" "became whole as a group," she adds. The show will feature jazz trumpeter Jason Palmer, violist Ashleigh Gordon and musicians from A Far Cry, with theater direction by Pascale Florestal. There will be original music by Liu and guest singer Nadia Washington will perform. More than 70 memorial posters will be on display. Before rehearsal ends, Liu performs a composition that weaves snippets of her interviews with "Code Listen" members in song. The lyrics, set to a melody that sometimes veers into dissonance, touch on the aftermath of homicide: tragedy, fear, memory. Soon, people sing the chorus and the musicians, playing by ear, join in. Liu hopes they hear themselves in it. “Code Listen 3.0,” hosted by the Celebrity Series of Boston is Saturday, Dec. 8, from 3 to 5 p.m. at The Salvation Army Kroc Center in Dorchester. The ensemble also performs Saturday, Dec. 15, from 3 to 4:30 p.m. at the Isabella Stewart Gardner Museum. Admission is free, but RSVPs are encouraged.